Buying a new piano is certainly the most popular choice by most of pianists. However, there is a good compromise between the used and the new piano: the reconditioned one. Reconditioned means that the instrument was fully checked and optimized in all of its parts: furniture, soundboard, strings, pins, hammerheads, leathers, felts, keyboard and action parts. 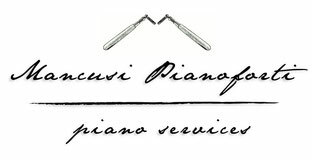 After careful checks, all actions necessary to take the piano back to a condition comparable to the new are carried out: from the furniture polyester lacquer to the replacement of the strings. All made by skilled labor, according to specifications of the manufacturer. Reconditioning phase is followed by the "concert preparation": action regulating, keyboard weighing, tuning and voicing in accordance with the structural characteristics and the age of the instrument. The result is a high quality piano, optimized to offer its full potential. Other benefit in buying a reconditioned is the convenience for the quality/price ratio: the final cost is often less than 50% compared to the corresponding new model! One of the most popular Grand Piano in the world. 186cm long, it offers extraordinary sound and mechanical potential that allow it to adapt to the most various contexts: as a piano for studying, at home or in musical institutes, or as stage piano in concert halls, or as recording piano in professional studios. 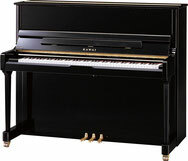 The top-selling Grand Piano of the successful KG series of Kawai, currently among the most popular reconditioned grands: the excellent ratio between size (178 cm long) and sound quality, together with the high resistance of the parties and the exceptional sound and mechanical potential, make the KG2 an extremely versatile piano, very good for the professional study, but also suitable for concert halls and recording studios. A very required model because of the small size. Being only 155 cm long, it allows to place a grand piano in relatively small environments, in which a bigger Grand could create acoustic problems. 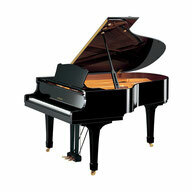 Although the small size, the KG1 keeps the wide range of sound and mechanical dynamics and the quality of Kawai brand. The popular series "U" of Yamaha Uprights is renowned for its high quality of construction and components: the U3 model, with its 131cm height and wide soundboard, provides sonority worthy of a grand piano. Action, despite "upright", offers excellent dynamic possibilities. 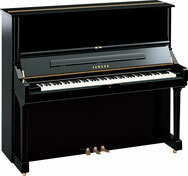 It's the most wanted Upright piano in its class. It has construction features similar to the U3 model, although the size is reduced. With the height of 121 cm, it'is the ideal compromise for who is looking for a "small" upright piano without sacrificing Yamaha quality. Competitor of Yamaha U3, it has a solid and durable structure, providing all the benefits of a "big" Upright (height 132 cm): rich and powerful sound, wide dynamic range, high performance mechanics. Ideal as a piano to study in small rooms or in the Music School. Despite its small size (125 cm height), it maintains the quality of the excellent series K of the brand. Each piano is unique since wood, felts and all materials that constitute it have chemical-physical characteristics not reproducible in series. For this reason, we reccomend you to personally test our pianos, so that you can find the best for you. Contact us to fix an appointment and to know the prices.